I’ll never forget February 9th, 2018. After 9 months of trying for another baby we were finally on our way to our first doctors appointment after a positive pregnancy test a few weeks earlier. We told Greyson he could go with us to see his baby’s first picture on the ultrasound. We sat out in the waiting room so excited and finally the tech called us back. As I got situated on the table and the tech got the wand and gel ready, Bryan jokingly said “you better only show us one!” And we all laughed… for just a few seconds… before the tech said “ummm sorry I can’t do that”. 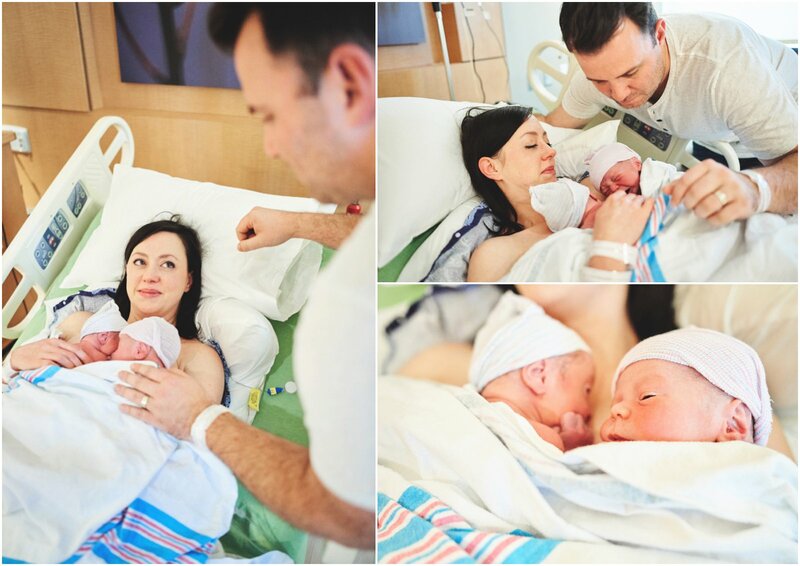 We looked on the screen and there, just as obvious as it could be… TWO BABIES. My heart sank and I said “this is a joke isn’t it?” And the tech assured me that no it wasn’t a joke, I was pregnant with TWINS. As I’m hyperventilating and saying over and over, “This is a joke! It is, isn’t it?”. I look over and Bryan is as white as a sheet and is slowly sliding down the wall and just sits in the floor with his head in his hands. I don’t even know what Greyson is doing at this point. I could hardly see or breathe. The tech prints off our ultrasound photo and hands it to me and tells me which room to go in for my exam with the doc. Bryan says he’s taking Greyson outside and I just walk into the exam as if I’m in a fog. The nurse walks in the room and just gives me this smile like, “omg you’re having twins” and I lose it. I start WEEPING. I’m crying so hard that my contacts literally pop out of my eyes and just land on the paper gown I’m wearing. I don’t hear a thing they are saying to me. But I do hear myself babbling over and over about how I can’t possibly have twins! I tell the doctor that Bryan and I literally said one time that we would rather be childless than to have twins. 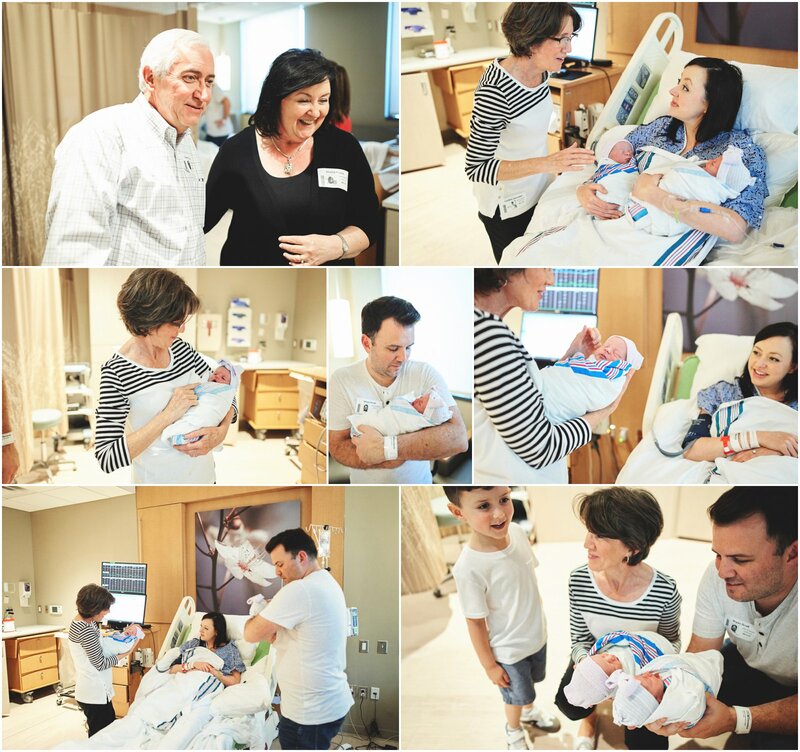 We had to talk ourselves into even trying for a second kid after Greyson! THIS WASN’T THE PLAN. I CAN’T DO THIS. Then I remember the nurse saying to me “Honey, you were made for this”. I leave the doctors office and walk out to the car where Bryan and Greyson are waiting. I get in the car and bust out crying again. I pretty much continued to cry the rest of the day (and if I’m being completely honest, for days/weeks after) We got home and called our parents and siblings. I told them through tears that we were having twins. Everyone thought we were joking at first and realized that I’m not that good of an actress to sound that distressed unless it was true. Now, the issue here is that I had A PLAN. I’m super organized and have always planned my life out. So far, things have worked out pretty well with my MY plan. I have a wonderful husband, a photography business that I’ve always wanted and a beautiful son. Next up in my plan, baby #2 which will obviously be a girl and our perfect family plan is complete. Apparently God had another plan for my life. All the joy I had just hours before was now gone and I was filled with complete dread. I no longer even wanted a baby. Not even one, and especially not two. 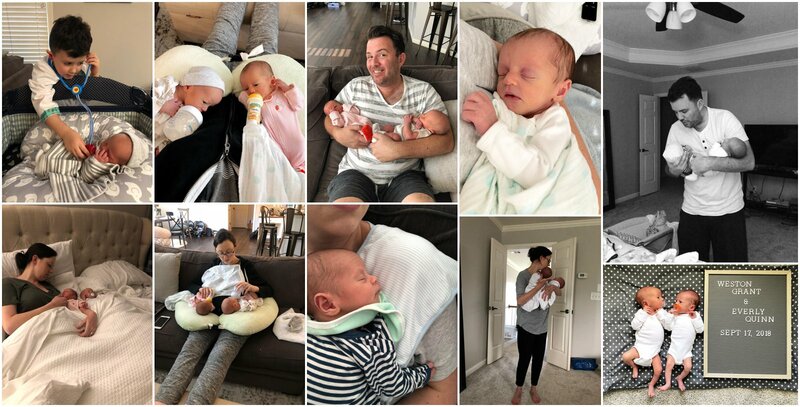 I was overcome with complete fear, depression, anxiety and selfish sadness over what I was going to have to endure with my body changing and just how our lives would change caring for 2 babies. I couldn’t do this. Everything after that day changed. We went in to ultimate preparation mode. By the end of the month we had our house on the market. We decided we needed different space for 2 extra kids. So we sold our house, paid off all of our debt (whoohoo! ), and moved in to my parents basement while we continued to look for a new house. We finally settled on a fixer upper, did 90% of the work ourselves (and by that I mean Bryan, all of our family members and our friends helped us tirelessly for weeks) and we finally moved in three months before I was due. Once we got settled into our house we traded in my SUV and got a Minivan (something I NEVER thought I would have). After I finally stopped crying everyday I decided to push my feelings aside and try to somewhat enjoy this twin process. I couldn’t wait to find out their genders! Not going to lie, I was a little terrified that we would end up with two boys. I know having three boys isn’t the end of the world but I was really hoping for at least one girl. 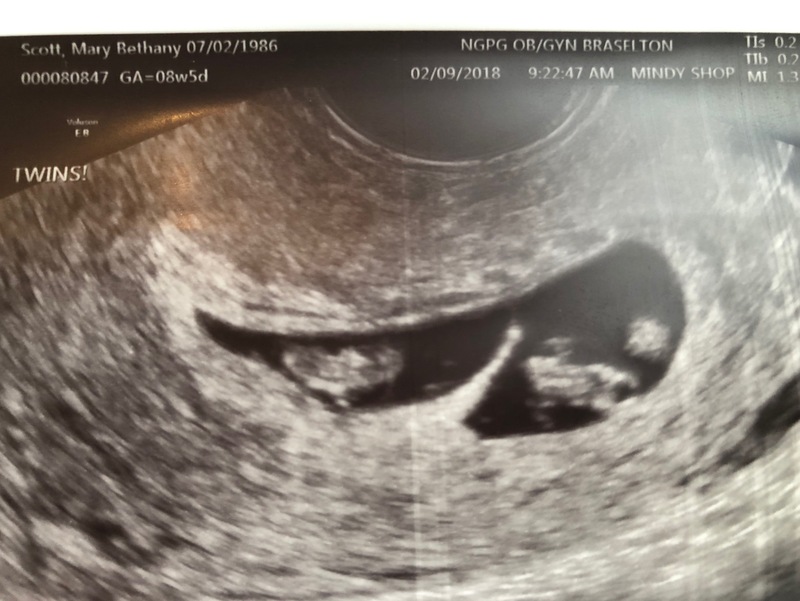 At our 16 week ultrasound the tech told us that she was 100% certain that Baby B was a boy. He was very proud and always had his legs open and ready to show us all his glory. Haha. Baby A on the other had never cooperated during scans and we couldn’t get a good look. Finally, weeks later at our 20 weeks appointment Baby A cooperated and confirmed that she was a GIRL! 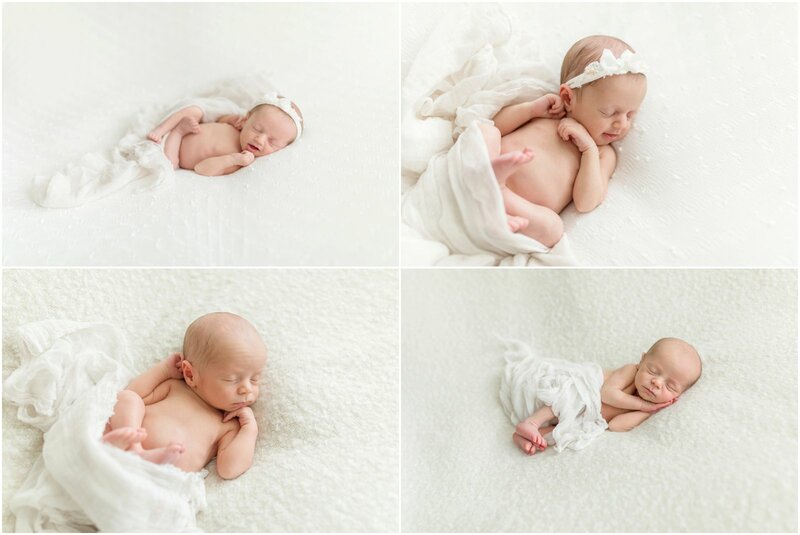 So despite my fear of having twins, I was excited at least that we were having one of each! 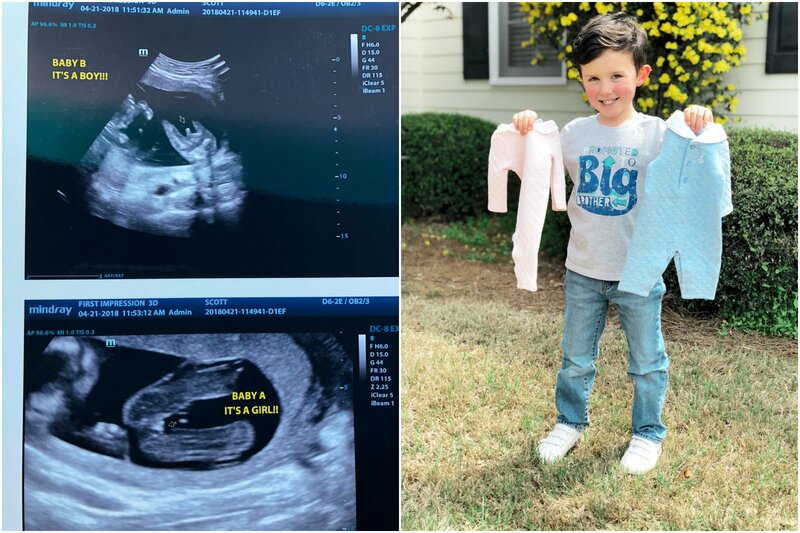 Greyson was so pumped that he was getting a sister AND a brother! Obviously I didn’t take any perfectly posed and styled monthly bump photos. Most of these were taken in frustration to text to Bryan and to complain about how huge and miserable I was. Haha. 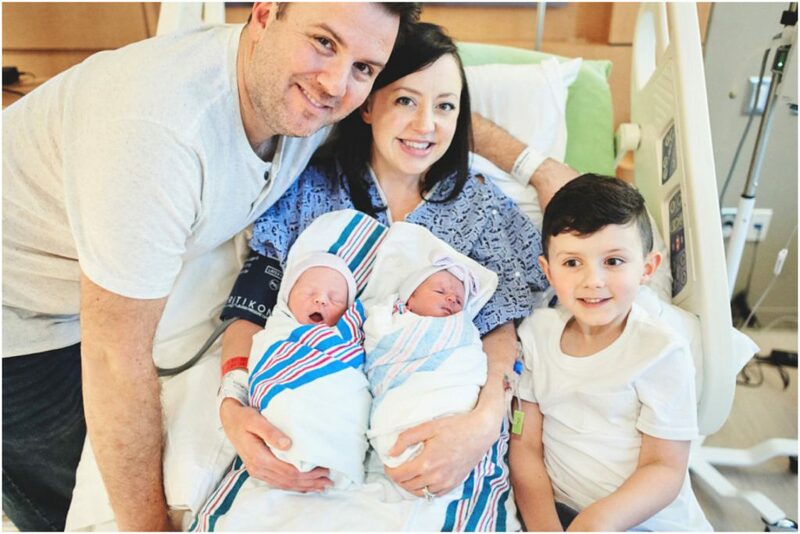 Nothing prepares you for a pregnancy with multiples. It was one of the hardest things I’ve ever done. I had to just take it a day at a time and pray that I could continue to grow these 2 babies so they would be healthy at birth. Everything I read about twins made me fear premature birth and long NICU stays (most twins are born between weeks 32-37). 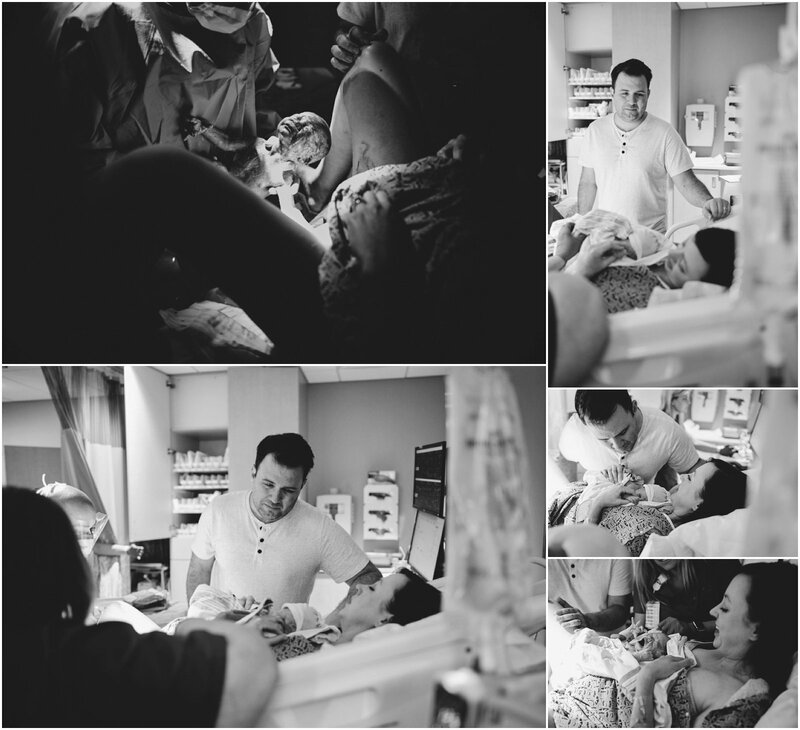 It seemed that everyone had a horror story of how their babies were born early. 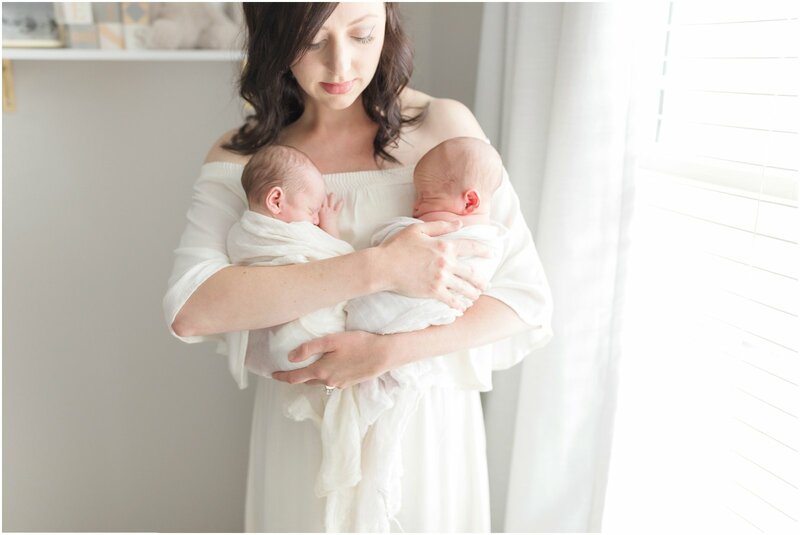 Even though sometimes I wished I could somehow will this pregnancy away, I still felt a motherly instinct to protect my babies and see them grow and be healthy. I had already made up my mind that I was probably going to have them early and end up with an emergency c-section. And I was SCARED. I couldn’t believe it when days/weeks would go by and I never had any signs of labor. Nothing. 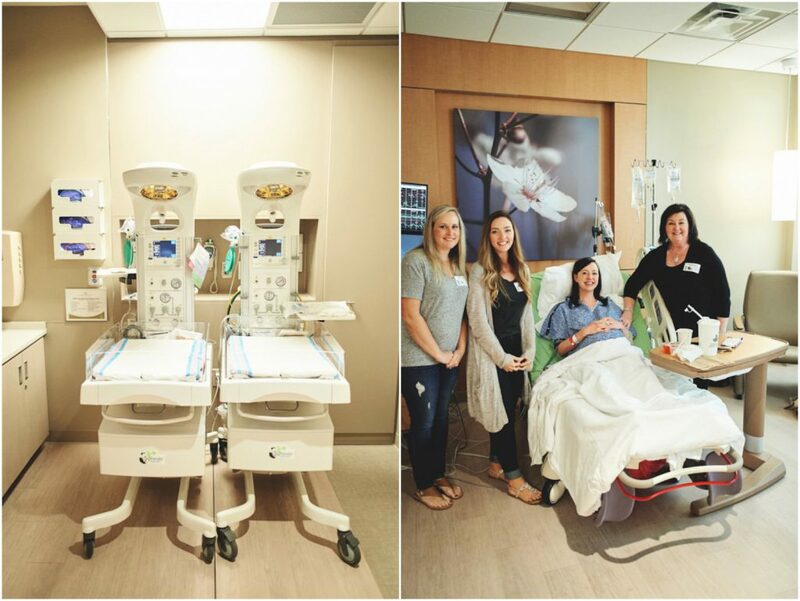 I would go twice a week for non-stress tests to check the babies heartbeats and see if I’m having any contractions and everything was always fine. Secretly I wanted to have them a little early so I didn’t have to be pregnant anymore haha. Finally at 38 weeks they said I could be induced and I jumped at the opportunity! I couldn’t physically or mentally carry these babies any longer! I had made it FULL TERM! 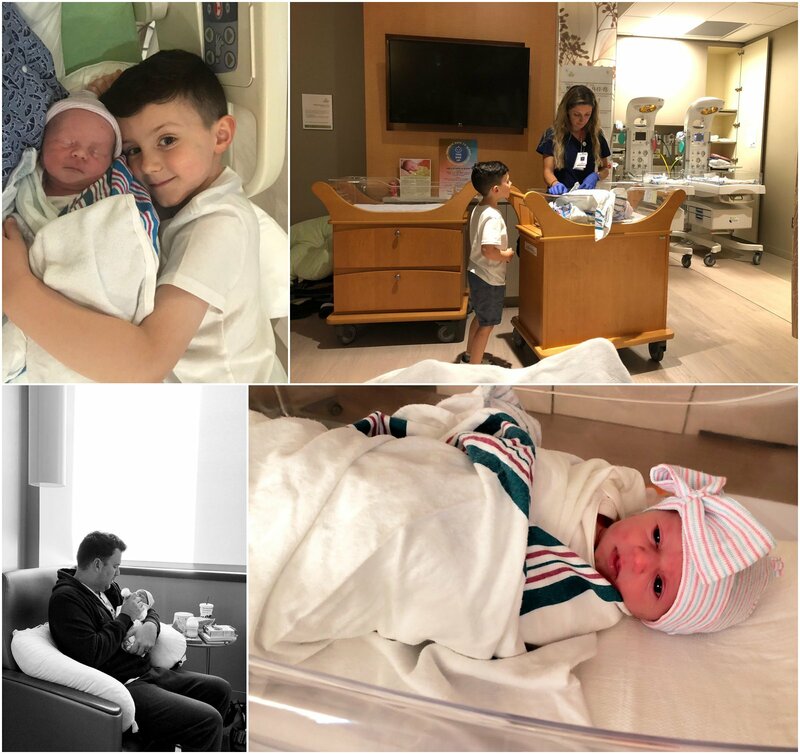 September 17th – I was 38 weeks and 1 day and we arrived at the hospital at 5:00am and walked into our Labor & Delivery room and was immediately greeted by 2 bassinets. I don’t know why but seeing 2 of them there really hit me hard and I was like “omg this is real. I’m having twins”. I wanted to cry but I was trying to keep it all in to mentally prepare for the long day ahead. 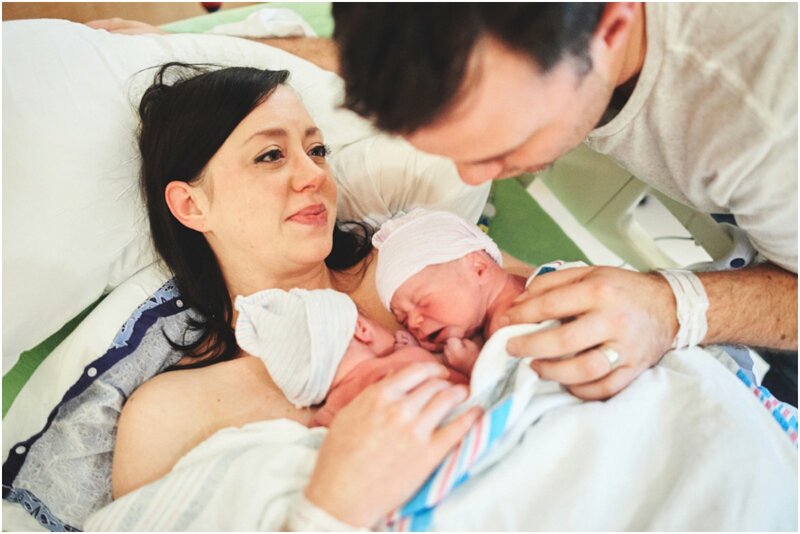 Even though my babies were both head down and we were going to attempt a vaginal birth, I still had a fear that something was going to go wrong. I changed into the hospital gown and got my IV’s to get labor started. The next few hours were pretty uneventful. My parents, sister and friend were all there in the room just hanging out and we were all talking and laughing. Around lunchtime my epidural started wearing off on my right side and I was in so much pain! I kept pressing the magic button for more pain meds and nothing was helping. Finally the nurse decided to lay me down flat and see if the medicine would flow down and give me some relief. It eventually helped and we were back on track for the waiting game. About an hour or 2 later the pain is back! My whole right side feels like it’s on fire. 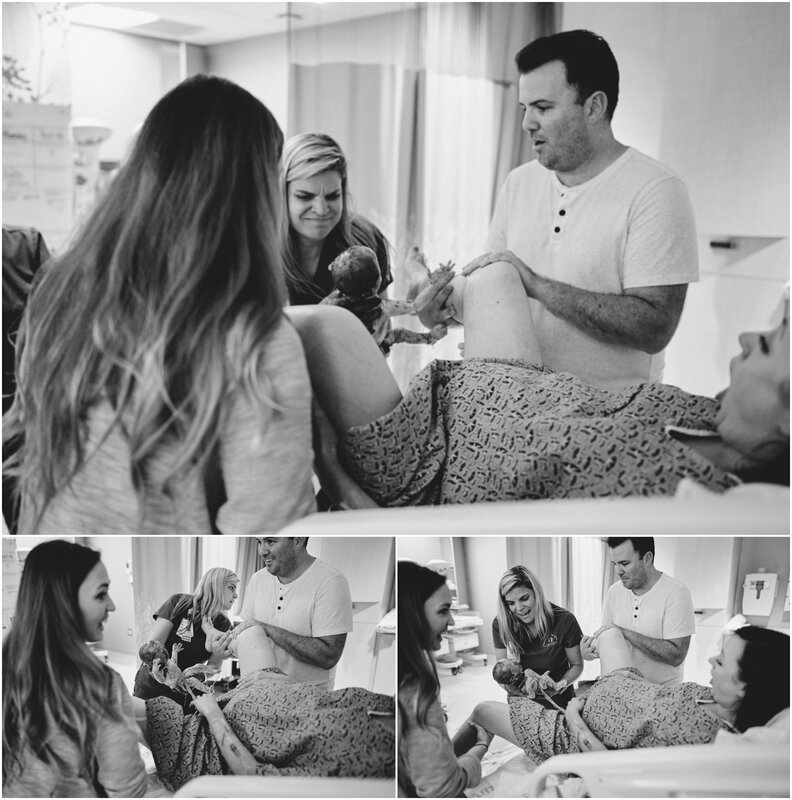 There is nothing more annoying than expecting your epidural to work and it doesn’t! I wasn’t mentally prepared for this! Now that I’m feeling the contractions I start back in panic mode that I have to actually deliver 2 babies soon. Before when I was numb it was easy to push it aside. Now I’m in full blown panic mode and I look at Bryan and my mom and I just start crying. I CAN’T DO THIS! The nurse puts the bed back down again and has me lay flat to try and get the epidural working again – still not helping! Finally she suggests that maybe Baby A is pushing on a nerve and if I do a practice push maybe she will move down a little and relive some of the pain until my body is ready to deliver. So she helps me sit up and try to push and a little bit of the pain is relieved and I lay back down. The nurse leaves the room to go help another patient and I start feeling so weird!! The pain is back and it’s worse than before! I tell Bryan to go get the nurse that it feels like the baby is hanging out of my body. That’s the only way I could describe the feeling I was having. So she come back in, lifts the sheet to check me and yells “oh Sh**!” Everly’s head is all the way out, facing up with her eyes wide open!!! She was literally falling out! The nurse runs to the door and yells down the hallway that we need a doctor and she comes running back in. She tells me not to push and try to wait until the doctor can come in. So I’m supposed to just lay here and WAIT while a baby is hanging out of my body and my whole right side feels like its on fire. Heck no. Bryan grabs one of my legs and Lori grabs the other and without a doctor in sight, no big lights on, my hospital bed laying flat as if I should have been taking a nap, Everly falls out and the nurse catches her just in time and holds her up for us to see then throws her up on to my chest (Que the uncontrollable ugly crying) and just wipes her off with my hospital gown because they don’t even have the towels ready. 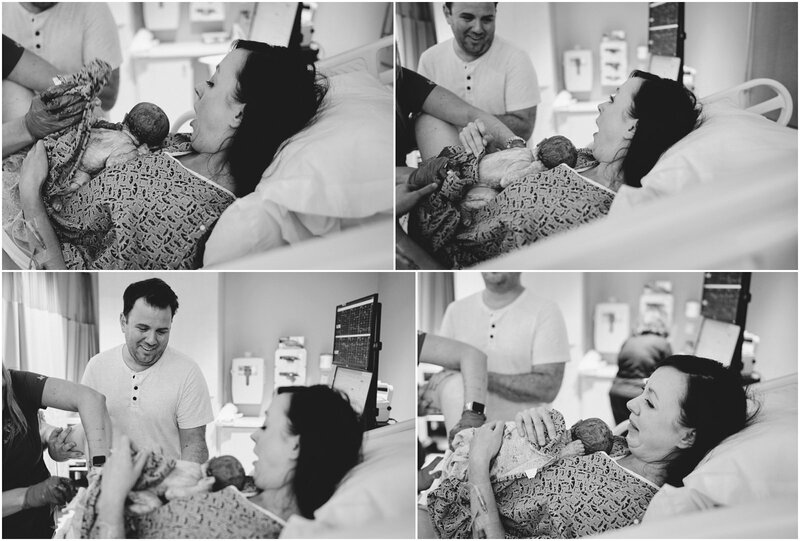 Every fear, every worry, every bit of anger that I had throughout this whole pregnancy melted away the moment my baby girl was laid on my chest. She was the tiniest little thing I had ever seen. I just held on to her and cried as the doctor and pediatric team finally came running in as I was about to deliver Weston. 6 mins and maybe 2 pushes later Weston is here and I’m holding my sweet baby boy that I never imagined I would have. I just delivered TWO BABIES in 6 mins. I can’t even explain that feeling. TWINS. They were here and they were perfect. It’s funny how impossible something seems before you experience it. I think our faces prove how shocked we were that Everly just fell out! And we couldn’t believe how small she was! Like that nurse said at my first appointment months ago – I WAS MADE FOR THIS. 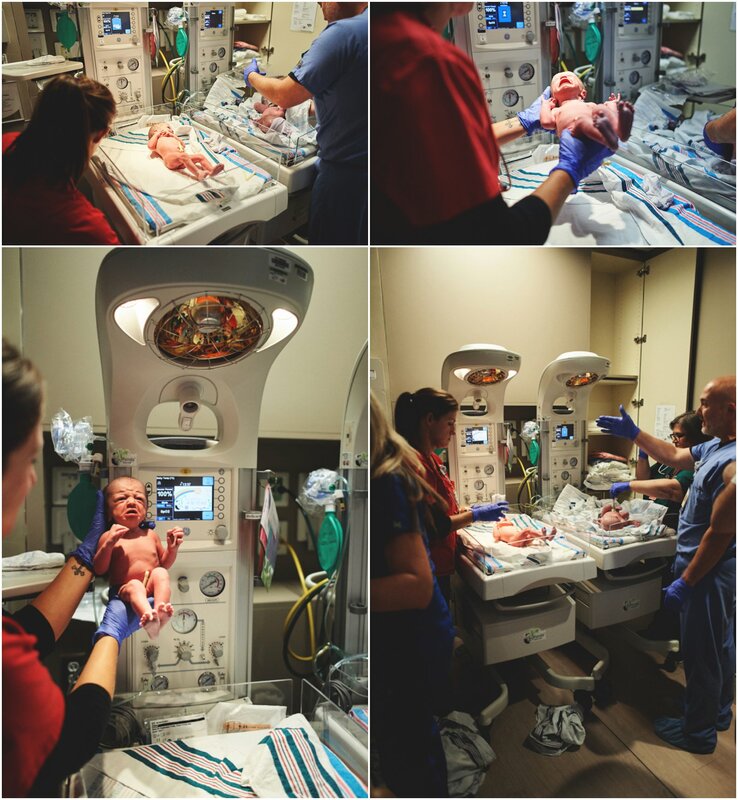 Due to Everly’s small size for a 38 week baby she had to go to the NICU for further monitoring. We were so lucky that she was only there for about 10-12 hours before they confirmed what we already knew, she was tiny but mighty. I think her dramatic entrance was proof of that! 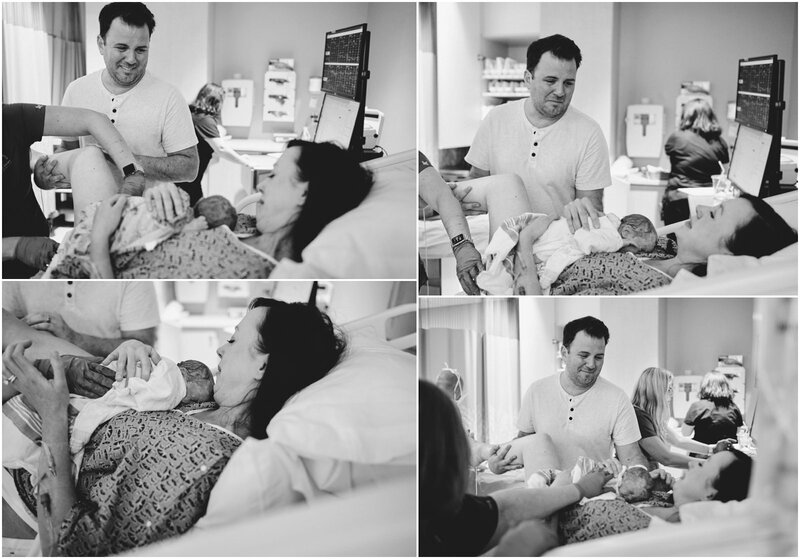 2 days later we left the hospital with both babies and went home to adjust to this new life of ours. It has in no way been easy. Those first 2 months were ROUGH and we had no idea what we were doing and couldn’t have survived without the help of family and friends. 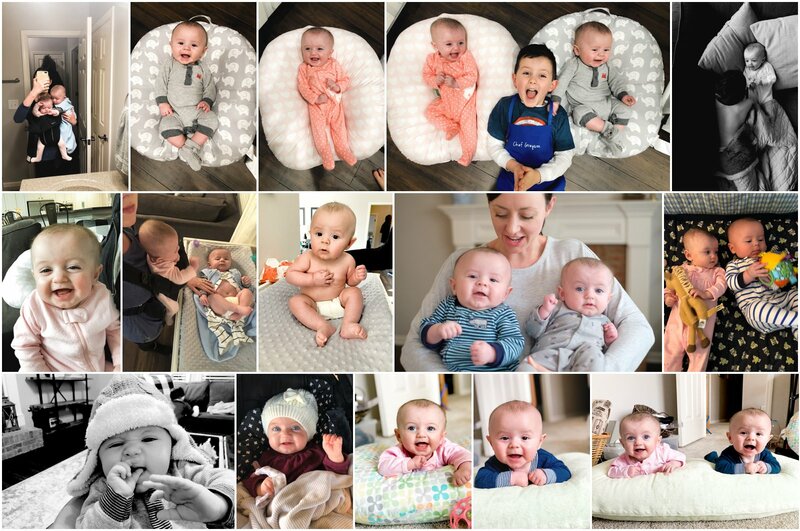 But now our babies are 4 months old and we finally feel like we (sort of) have the hang of this twin thing! 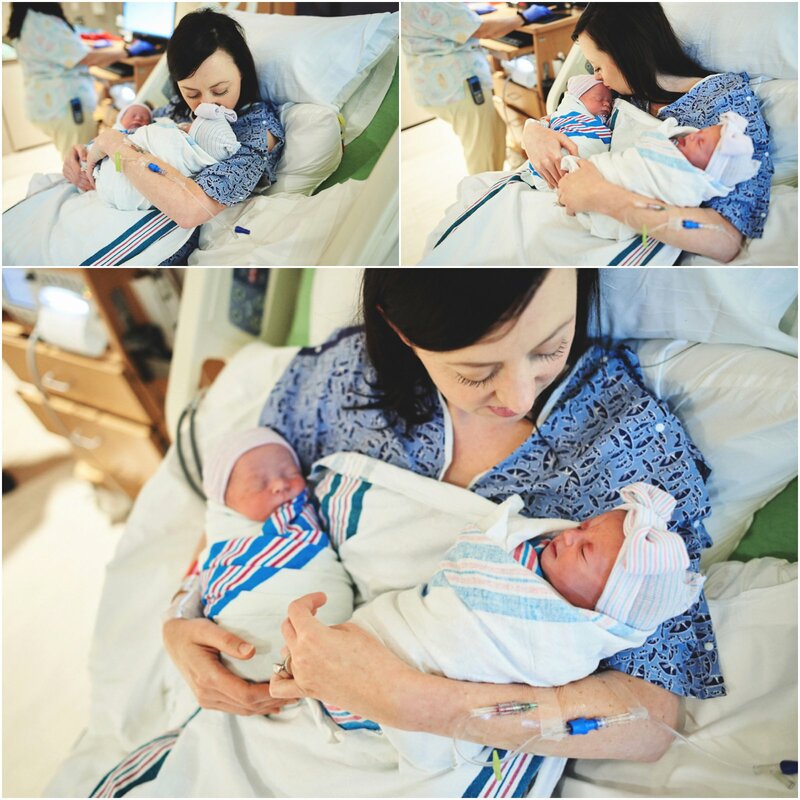 Everly and Weston are so different from one another and yet they are each so sweet and special in their own way. We are obsessed! 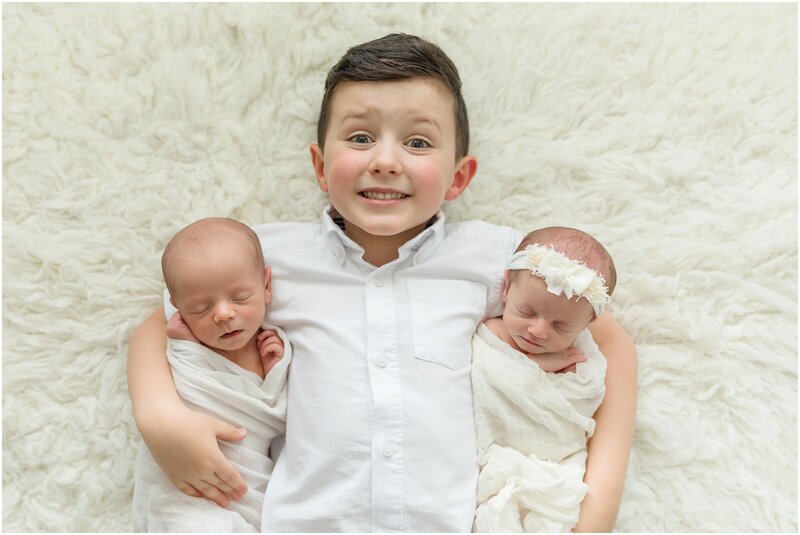 I can’t imagine our family without BOTH of these precious lives. In the moment I felt abandoned by God, as if he didn’t care about me or my plan. But looking back through the hurt and pain do you know what I see? I see provision – giving us the ability to financially prepare for our twins and buy a new home, a new car and everything we needed for their arrival – I see strengthening of family and friendships as those close to us rallied together go help us – I see healing and protection as God gave me a perfect, healthy pregnancy and perfect, healthy babies – I see God’s faithfulness in every aspect of that year. Sometimes we get so consumed and blinded by our own limited understanding that we fail to see God moving in our lives. I robbed myself of Joy for 8 months. Months that I could have been rejoicing in God’s continued faithfulness in my life. Funny how you can be living IN the faithfulness of God and be completely blinded by it because of our own selfish desire for control. 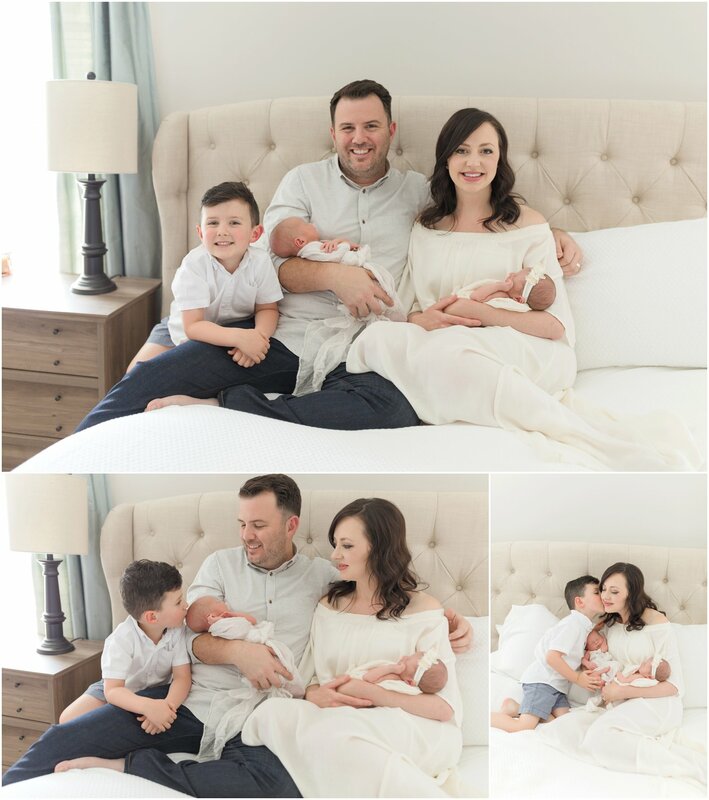 I’m so in love with my sweet babies – our spunky little Everly and our sweet snuggler Weston. 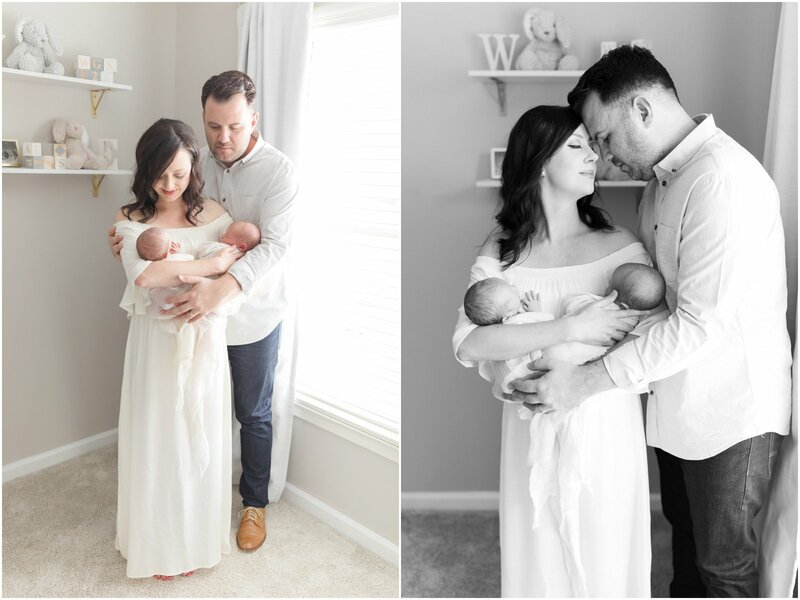 They have completed our family in a way that I never thought was possible. I wouldn’t have it any other way.